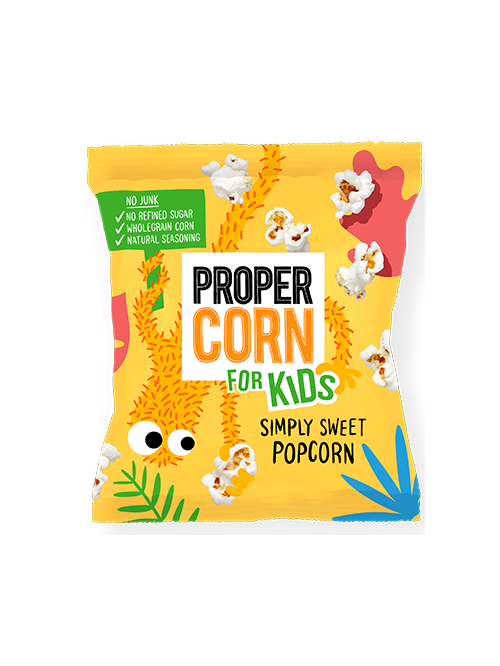 Propercorn for kids – nothing but wholegrain corn, natural seasoning’s and no refined sugars. 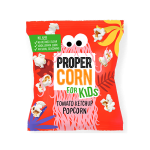 Perfectly healthy snack for 4 – 8 year olds. Popped corn (66%), raw cane sugar, rapeseed oil. 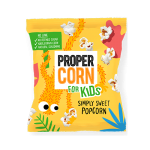 Propercorn for kids - nothing but wholegrain corn, natural seasoning's and no refined sugars. 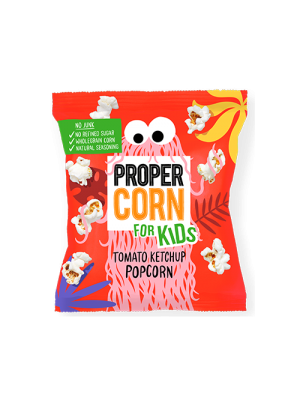 Perfectly healthy snack for 4 - 8 year olds.